At Successful Projects, we work with Clients to Implement a Rigorous Project Management System. 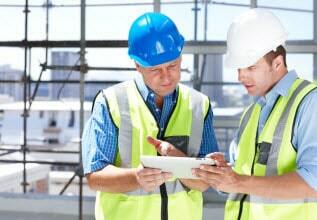 A Project Management system with Structure, Project Controls and Approvals process to ensure project success. Successful Projects services a range of industries including Commercial and Residential Construction, Mining – Non process and Process Infrastructure, Civil Construction, Health and Government (State and Local). We assist organisations to accomplish their project goals by implementing our innovative systems and techniques, combined with our experience and expertise to result in successful outcomes for our clients. Our approach is based on the Project Management Body of Knowledge (PMBOK), implemented with a tailored and practical PRINCE2 project management methodology to arrive at the right outcome for our clients. We work closely with the Project Sponsor to prepare and seek approval of the project business case. We manage the delivery of studies and the writing and collation of project documentation. and is the basis of reporting and presentations at key project funding gates. We provide the Basis of Schedule to tie scheduling and reporting into contracts at tender and at award. We can establish your internal project controls processes and systems. Scope clarification leads to Confirmation and Alignment of Stakeholder Requirements with the project objectives. Our approach is to workshop stakeholders to identify project deliverables and confirm quality and schedule requirements, agreeing and providing clarity of project goals, mission and benefits realisation measurement. Deliverables may include a user requirements specification that leads design, project deliverables lists that feeds into schedule development or performance requirements that feed into quality management. Confirmation of Stakeholder requirements provides clarity of Communications Requirements. Our communications plan captures the type, method, content and frequency of communications updates. Perhaps the second most common cause of projects not achieving success is a lack of clarity of project governance and the roles and responsibilities of project participants and control groups. We work with our clients to clarify project governance, reporting and decision making. Budget Management commences with validation of the project budget. We will check the budget is aligned with the project scope and has appropriate allowances. We manage the project to budget by managing the scope change process. Some practical steps we take to maintain budget is to manage the design selection process to ensure selections prepared are within the budget, we lead design coordination reviews to minimise the chance of variation works and we provide advice on procurement options identifying opportunities and risks. We schedule and lead value management reviews where we review design, cost and function. As experts in Microsoft Project and Primavera P6, we work with your team to develop a fully Resourced and Costed detailed Project Schedule. We can model the Impact of Risk to the Schedule and provide you with a range of probabilities for Cost and Time outcomes. We also hold regular classes on the practical and simple approach to developing a using the project schedule. See our project training section for further information. Our services extend to schedule peer reviews where we evaluate the integrity of the schedule, the critical path, project calendars, resourcing and optimisation. We will also prepare a schedule diagnostic identifying risks with the scheduling approach, needless complication and actions to repair schedules. We prepare the tender and contract schedule to align with your clients pricing schedule. We then work with your team to keep the schedule up to date and produce the reporting that you need to provide to your client to support your progress and claims. We can extend this service to design management, procurement management and project management to allow you to focus on construction. We bring the management systems and process to tie the EPCM contracting model together. Quality Management commences with identifying the quality requirements of deliverables, the approach to be implemented to achieve the quality requirements and the protocols around measurement of the quality of deliverables. Risk Management is central to all other areas, feeding into and receiving information from each of the above areas. We hold risk workshops aimed at identifying risks through brainstorming, reviewing likelihood and consequence, and ranking risks. We adopt the Bow Tie approach to identifying current controls, developing mitigation strategies and assigning ownership. We schedule mitigation activities and regularly review and report progress with risk mitigation. Our service can be extended to Superintendence of the Works, Claims management and Contract administration. We provide Review, Analysis and Reporting of actual progress. Project Superintendence, where we may combine the role of project manager and superintendent or act in either role. Traditionally, project superintendence has resided with the design consultant, however there is a perceived conflict of interest with the designer adjudicating in disputes that may be based on design issues. This has resulted in many project principals selecting a truely independent superintendent to manage the risk of litigation. We have the business systems and experience to successfully manage the superintendent role and to work with the parties to the contract to clarify roles, responsibilities, systems and requirements. Project Manager, where we act as the client representative managing all aspect of delivery and reporting. We have the systems and experience, we expect commitment from whilst working collaboratively with all participants. We train our team and encourage membership with professional associations. Project Scheduler, where we develop the detail in the project plan to ensure the project is delivered with success. Our Scheduler will quickly and effectively develop the schedule with input from each team member, identifying inter-relationships between activities and work fronts.